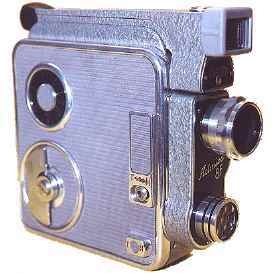 This movie camera was produced in 1954 and was equipped with a turret with two lenses: a Meopta Mirar 12,5mm f/2,8 and a Meopta Tele-Mirar 35mm f/3,5. It weights kg. 1,350 and its measures are the following: 39x128x195mm. 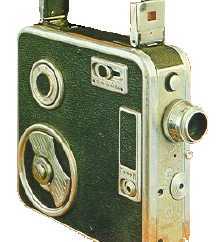 This movie camera was produced in 1946 and was equipped with a lens Meopta Mirar 12,5mm f/2,8. It weights kg. 1,100 and its measures are the following: 39x150x146mm. They produced many cameras of this model. 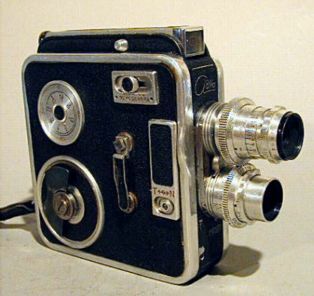 This movie camera was produced in 1960 and was equipped with a lens Meopta Mirar 12,5mm f/2,8. It weights kg. 1,200 and its measures are the following: 39x129x160mm. The vewfinder is detached fromn the body. It is very easy to handle. My camera works perfectly.